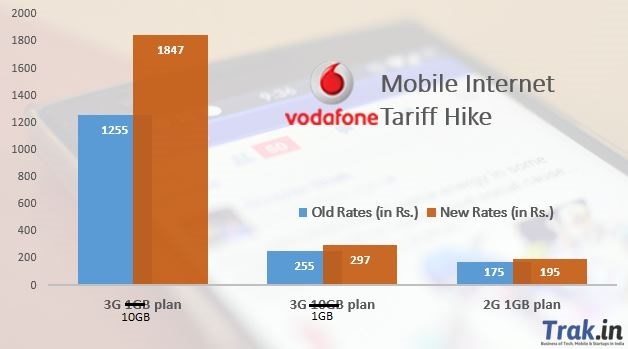 Following the trend of significant data hikes being introduced in mobile data tariff plans by leading telecom operators, Vodafone and MTS have also jumped into the data-price-hike bandwagon. Vodafone has hiked its prepaid mobile data tariff plans in Delhi and NCR circle by up to 47% while MTS has increased the price of its postpaid data packs in the the same circle by up to 8%. It is worth noting that MTS’s parent company Sistema Shyam Teleservices didn’t participate in the auction but has still hiked its postpaid data plans. Looks like MTS is also interested in boosting its revenue. This move from Vodafone and MTS came right after Idea Cellular and Bharti Airtel hiked their mobile internet plans. While Idea actually hiked its mobile data plans by 18%, Airtel withdrew the benefits offered on online recharge. 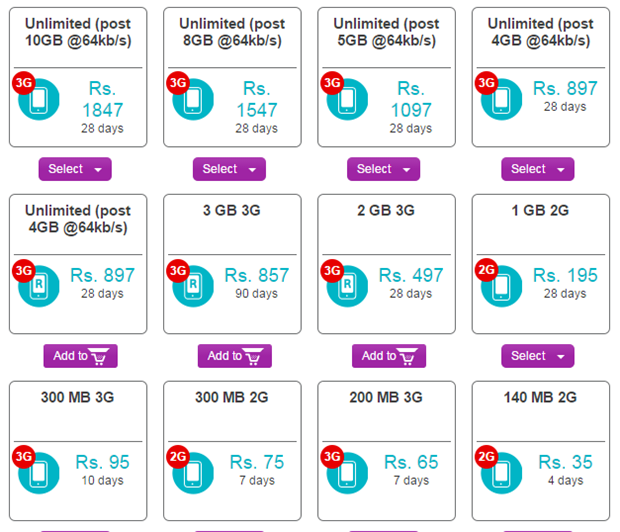 Vodafone now offers 10 GB 3G pack for Rs. 1,847 for 28 days as compared to Rs. 1,255 earlier. This translated to a 47% increase in tariff which can have a significant effect on its 10 GB 3G users base. The telecom giant has also hiked its 1 GB 3G internet pack from Rs. 255 to Rs. 297 offering a validity of 28 days. Its 2G 1 GB internet pack has also been revised from Rs. 175 to Rs. 195 for 28-day validity. Vodafone has also reduced the validity of many other prepaid data plans. Please have a look at the screenshots below for more information. This price in data tariff plans had been predicted by the telecom experts long before as the operators (which participated in the March spectrum auctions) had shelled out close to Rs. 1,10,000 crore during the auction. This price hike in data tariff plans will make sure that the operators can pay up their dues to the government. There is no information why every operator is introducing hikes in its data tariff plans, but I think that mobile data users make up for significant portion of the revenue for the telecom operators. Mobile data is also a high-profit segment. So making it more expensive would result in much more profit for operators in a short period of time. Another main reason might be that, by increasing the data tariffs, they are not disturbing the poor who use mobile connections only for making calls. And those who use smartphones for browsing can afford to pay more for staying active on the web. With that being said, I am still not sure whether heavy 3G internet users would still stay with ­­Vodafone after a significant hike of 47%. Well, we’ll come to know about it in the next few months. Vodafone Partners Flipkart To Offer 4G Smartphones At Rs 999! Airtel Launches Itel A40 Bundled 4G Smartphone At Rs. 3,099!